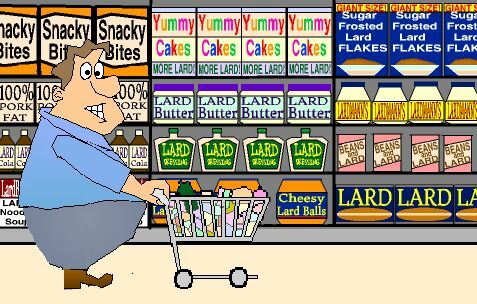 Modern grocery stores are packed full of all sorts of enticing morsels and when it comes to scrumptious snacks, for most people taste is a priority over healthiness. At least this is the conclusion supported by the types of foods available at most grocery stores. Although there are some items which can be deemed to be healthy, most items available are anything but healthy and it seems that most consumers prefer the tasty, but unhealthy items over the healthy, but not quite so tasty items. This observation is further supported by current obesity rates. It seems that taste is a priority over healthiness for most people, particularly in states with ridiculously high obesity rates such as Arkansas, West Virginia, Alabama, Louisianna, and Mississippi. So although there are those who will go out of their way to purchase only healthy foods, the trend seems to be towards the selection of tasty foods, most of which aren't terribly healthy.